Wayne Jansson interviews Cathy McGowan, the leading independent candidate for the regional Victorian seat of Indi held by Sophie Mirabella. 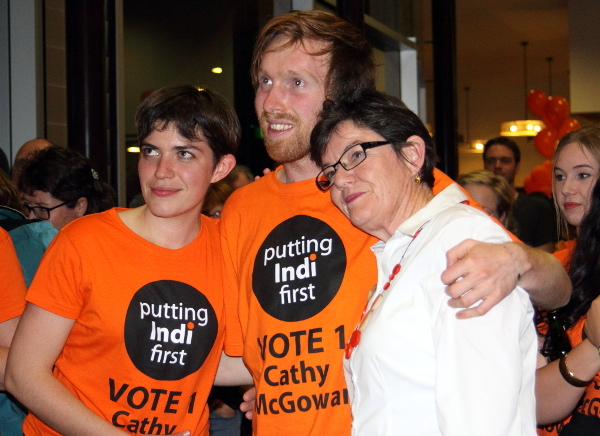 No Fibs previewed her campaign in Chasing involved democracy in Indi. Q: What were you doing before becoming involved in politics? A: I’ve always been involved in politics. I run a consultancy company, Catherine McGowan Consulting, that does work in Australia and overseas, mostly with women in agriculture, and I also do rural community development and facilitation work. And I’ve been doing that for about 30 years. Q: Why are you running, and what do you think is the most important issue facing Indi residents? A: Well, I’m running because I was asked to, and because I think it’s time the people of Indi had a choice. And the third reason I’m running is I’ve got a really clear vision for how I want this community to be in the long term. The major issues that people have been talking to me about are infrastructure issues. It’s not actually about major political issues in terms of party political issues, it’s how those party political issues get played out in the electorate. So, for example, broadband and mobile phone connectivity – neither of the parties, neither of the programs, what the NBN’s offering or what the coalition are offering, seem to be able to deliver for the people living in Indi. And that is upsetting for everybody. They’re saying … we want quality, we deserve quality broadband, we want what the city people are getting. We want to be able to develop the region. To do that, we need really good broadband. We want and expect mobile services up our valleys, and we understand it’s complicated and takes a bit of a vision to do it, but we think we’re worthy of it and we want our federal member to be standing up for us. So there’s those infrastructure deliveries like broadband and transport, and then clearly funding for health and education (is) very important. The other one that people are really concerned about is long-term creation of jobs in the regions. At the moment in Wodonga 18 per cent of our GDP is manufacturing. People love belonging to a region that produces things and they want to continue to happen in the future. Q: A problem faced by most of regional Australia is attracting medical professionals and retaining them. What do you think would help attract and retain health professionals in Indi? A: My understanding is what’s been done here in Albury/Wodonga and Wangaratta and in Benalla seems to be working. That’s doctors, however. On professional people, it’s a different kettle of fish. So getting professional planners in, getting professional tradespeople in, that’s an issue. Q: There is a perception in rural communities that many government services are hard to access. How can this best be addressed? A: When I’ve asked people about that the first thing they say, it’s about transport. That if you can’t get to the services then they’re hard to access. The number one and two issues that we’re really looking at is accessibility, and then it also links to broadband. Broadband gives people access to services they don’t normally get access to. Q. Indi is an electorate with many pockets of small, isolated communities. Many of these have high levels of unemployment and limited social opportunities. What role do you think the federal government can play in solving these issues? A: The people that I meet don’t see themselves as that at all. Not to say that they’re not isolated. Internet access is a problem for many in this electorate. ADSL is not available in vast areas. Some cannot get wireless and many other people have difficulty with their wireless connections during bad weather. Those that have backup dial-up connections, as I do, experience constant problems with connection drop-outs because of the poor state of the copper network. Satellite is poor for applications requiring real-time delivery such as Skype and is also adversely impacted by weather. There’s a growing number of farmers in remote areas taking their produce directly to consumers and small tourism-related businesses – both heavily rely on the internet for attracting customers. Q. What should the federal government do to improve access to new communications technologies and help the productivity and effectiveness of rural businesses in remote locations? A: We’ve got to get the internet access to meet the needs of the people who live here. Number one priority for me – then all those other things fall out. And that’s why voting for me is a really good alternative, because voting for the coalition won’t get it to happen in the short term, which is what people are saying they want. Q. 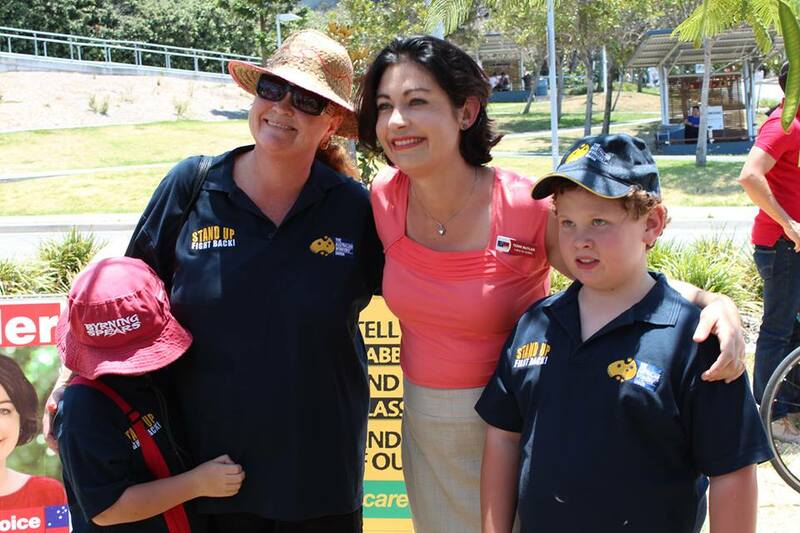 How can the federal government best support education in the Indi electorate, especially the smaller remote schools? A: My understanding of the Gonski initiatives, which we haven’t signed in Victoria … (is) that seems to be a very good start. Certainly teachers around the schools are saying that. Q. Are you happy with the assistance provided to rural kids when they must move away from home to attend university? A: No, there’s a huge movement across the National party, and I’m a great supporter of it, (for) a living-away-from-home allowance. Q: If you become the member for Indi, what climate change policy will you be supporting or advocating for? A: The answer is, it depends on who is the government of the day and what the policies are … I absolutely believe that the people of Indi care about their environment, I know that for a fact. That there’s a very strong concern for global warming and climate change, and has particular impacts in Indi. Not only in agriculture but on our snowfields, and when we have the bushfires. People are very, very conscious of the environment. At the same time people are also really worried about rising electricity prices and what that does to their standard and cost of living. I’ve been approached by families, singles mothers, pensioners saying, Cathy, this is a really important issue for us. 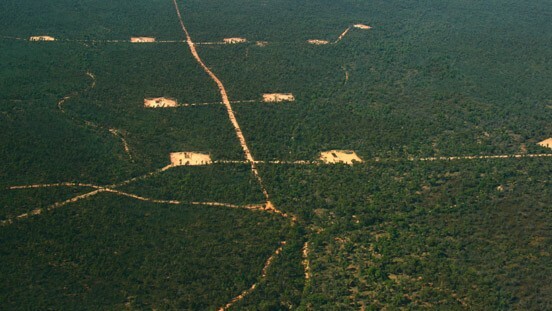 We’re very concerned about who gets to pay the price for the mitigation of global warming. Q: An increasing number of farmers who were once climate change sceptics are concerned as they experience problems caused by what they now believe is due to climate change. What is your message to these people? A: I don’t have any messages for anybody. I’m standing as the representative for the people of Indi so I listen to what they say and then I represent their views. I’m not in the business of telling people what to think. Q: Did you agree with the commonwealth government intervening to stop Alpine cattle grazing? A: Again about me agreeing about things. In those very controversial issues it’s not matter of me agreeing, it’s saying there’s complexity of views about that particular issue. And when I’ve been speaking to the cattle people, and I’ve been speaking to some very strong environmentalists, I’m saying let’s wait and see what happens with the government and then my role is to represent your views. And I understand the complexity and my job will be to work with you to make sure the government of the day hears your views. I’ve had great admiration for the way members of parliament like Bill Sykes, who’s the member for Benalla, has been working with his community on these things. Q: Can the federal government do more to help establish industries in the electorate that would provide greater employment opportunities for locals? A: The answer, of course, is yes. However, it needs to be based on what the community thinks they want and what they’re able to provide and where their vision is. So there’s a lot of work to be done on getting an Indi-wide consensus on where the jobs are going to be coming from and how we resource them. I’m a great believer in small business and I’m a great believer in community-based small business, so I’m very optimistic about that. Q. Where will you be directing your preferences and why? A: I won’t be directing preferences. It refers to the other answer: I’m not in the business of telling people what to do. My business is to be a representative and I’m independent, and I trust the people of Indi will be right across what they want to do with their second and third preferences. Q. Why should the people of Indi vote for you? A: One, because I’m going to be an independent voice for Indi. Two, I’m going to provide a competitive choice. And three, I’ve got a vision for the long-term sustainability of this community. I’m still a little confused on what Cathy stands for.. the vision she talks about us still in fluffy clouds. At a recent forum all the candidates were asked which broadband policy she supports.. The answer was she was to consult with the electrorate. Surely the kitchen conversations would have yielde some direction ? It takes leadership to spell out the vision and take us on the journey..
With respect to our future broadband needs you need to be clear and tell us what you are going to do Cathy. Telling us we have a problem and that nothing is being done to change that by the current member is something we are already aware of. Sadly, most people have very little understanding of either NBN option in this electorate, you can hear that when they ask questions about the subject. Not everyone in the electorate is an intellectual Cathy, your friends might be but there are still a lot of people who would vote for you if they could only understand what it is you are saying. The broadband plan offered by Sophie Mirabella’s LCP would be like making everyone in the country drive 2 cylinder cars, fine unless you needed to get on a highway. Fine if you only need to travel everywhere slowly. People like me who live in Sydney or Melbourne can already access decent broadband. It’s in the rest of Australia that everybody would be better off with hight speed broadband, better for business, better for education, better for health, just better generally. The Abbott plan is a second rate system.